A polished and put together look will make you feel sexier and it starts with great skin, hair and nails. A lot of women forget about this important part of the body, but it’s the subtle things that people notice. If you can’t take care of your hands and feet, men may think you can’t take care of other basic needs. You don’t have to be a supermodel, but make sure you care enough about your appearance to clean it up. This doesn’t mean you have to spend a lot of money. 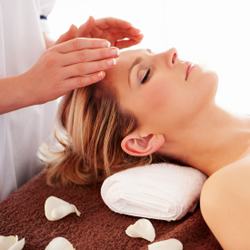 Spa treatments can be inexpensive if you look for deals. LivingSocial and other discount services like Deal Chicken and Groupon constantly provide coupons. Most spas today even have mailing lists where you can be alerted to discounts and sales on services. You can also make treatments last longer with a little maintenance on your part. Stretch your spa mani-pedi further by bringing your own nail color. You’ll be able to touch it up easily mid-way through services to make yours last longer. Don’t forget: It’s okay to indulge. You’re a woman. You deserve it. Obviously, a great facial brightens your skin because it removes any dead skin and build up. You can extend the results with a Clarisonic — it’ll cut your need for facials while maintaining the results. Or you can also buy a great facial scrub. Use it on Monday mornings to start your week off glowing and gorgeous. Don’t be too aggressive with it or you may cause breakouts. A body scrub or wrap can also last past your initial service with a few great products at home. Invest in a shower oil and butter up a few times a week to maintain that dewy soft skin you got during your wrap. A home body scrub can also make friends with your facial scrub in the shower. Use them on different days to increase the number of mornings you pamper yourself spa-style. The bonus with a good scrub is that you can use it to make your mani-pedi last a little longer by applying it to your feet, hands and cuticles in the shower. Do this every week at least. Every few days is okay! Your tresses always look amazing when you leave the salon. Aren’t you pissed when you can recreate them? Maintain their shine with a little coconut oil, which has natural elements to repair and hydrate your locks. Shine on, honey! Love the skin you’re in! P.s. these products will help!